First seen during the 1961 New York Auto Show, the Amphicar 770 was manufactured in West Germany for those who fancied something different. 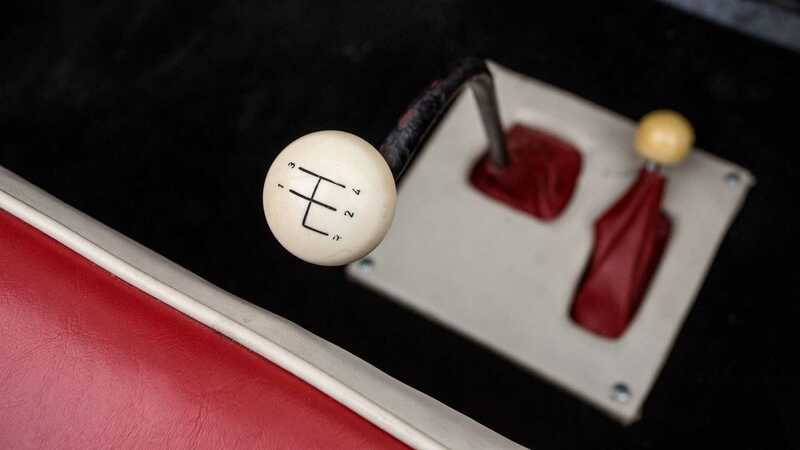 Besides handling like a boat, this vehicle actually was a boat. 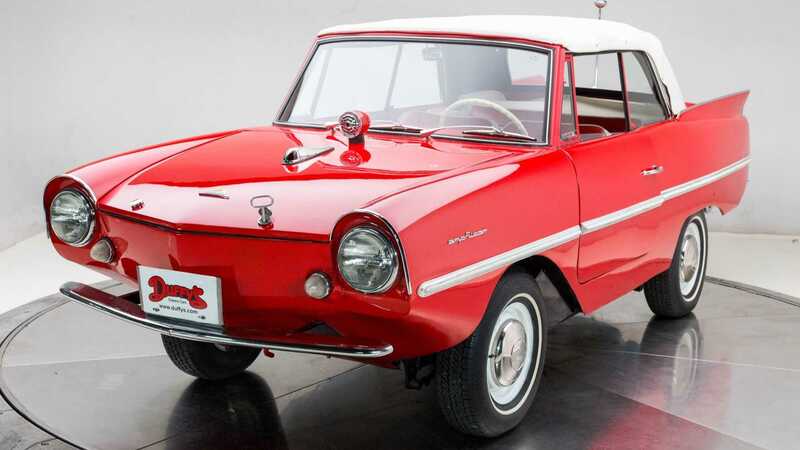 Marketed from 1961 until 1968, even though production of the vehicle was halted in 1965, the Amphicar set new boundaries for hybrid technology - a car that would traverse the Yukon River. 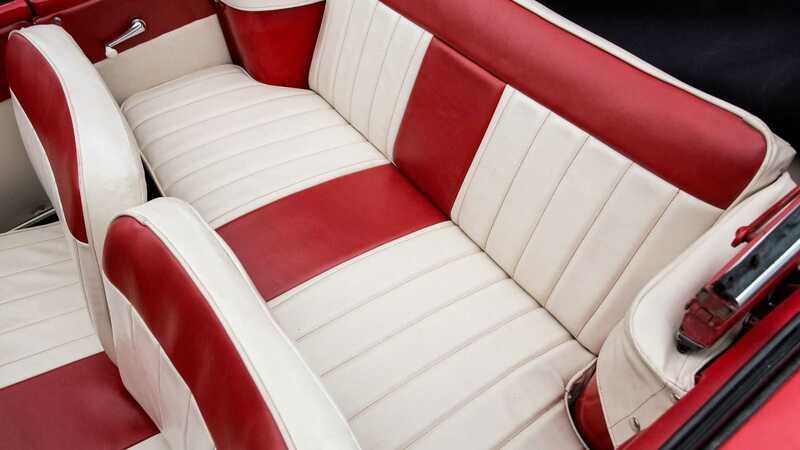 Which it did in 1965. 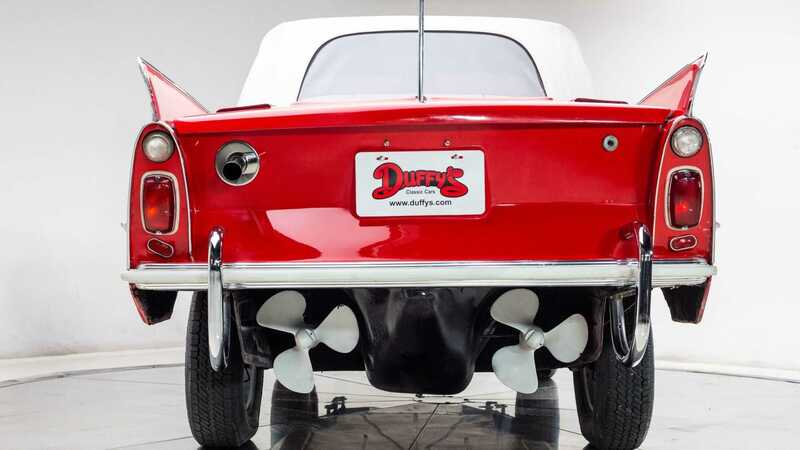 This car/boat hybrid was designed by Hans Trippel and was manufactured by the Quandt Group. 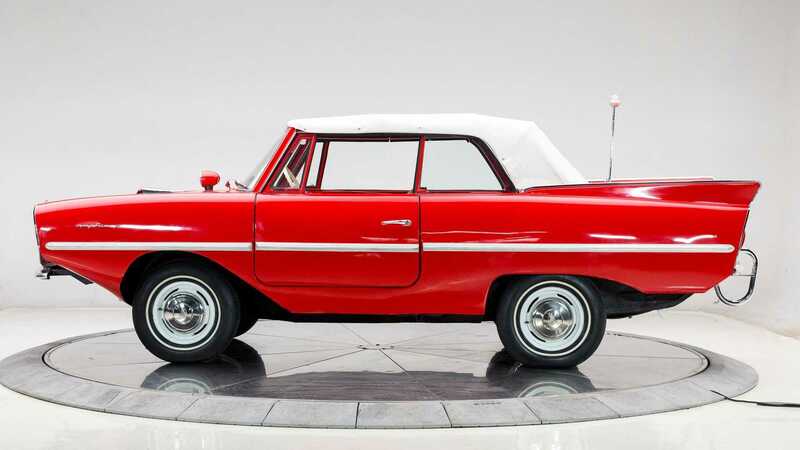 During its short five-year production run, the Amphicar was only available as a two-door cabriolet with boat features. 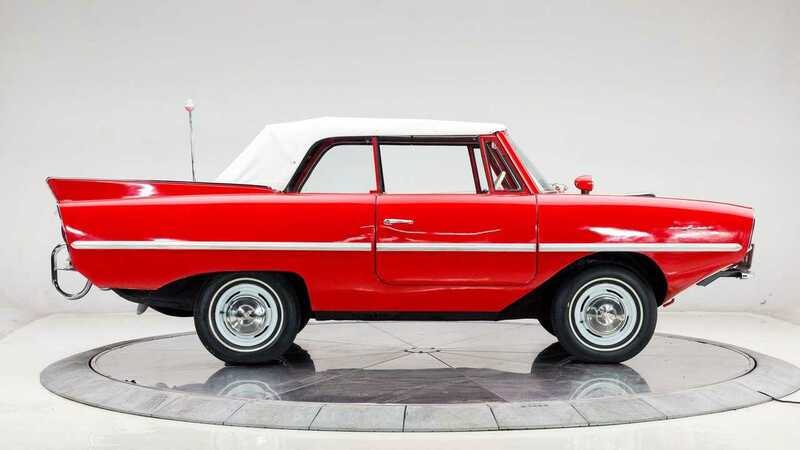 A total of 3878 units were built, thus making this vehicle extremely rare – especially as the water usually caused no end of rusting issues. 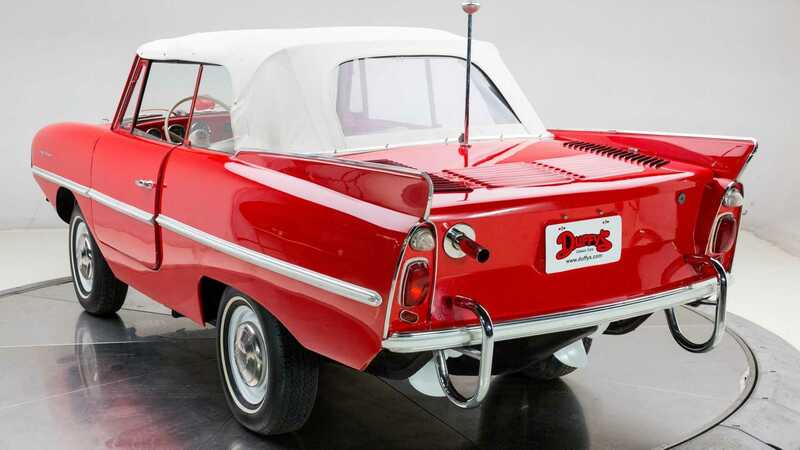 The Amphicar 770 was powered by a rear mounted 1.1-liter Triumph four-cylinder engine, which came bolted to a four-speed all-synchromesh manual gearbox. 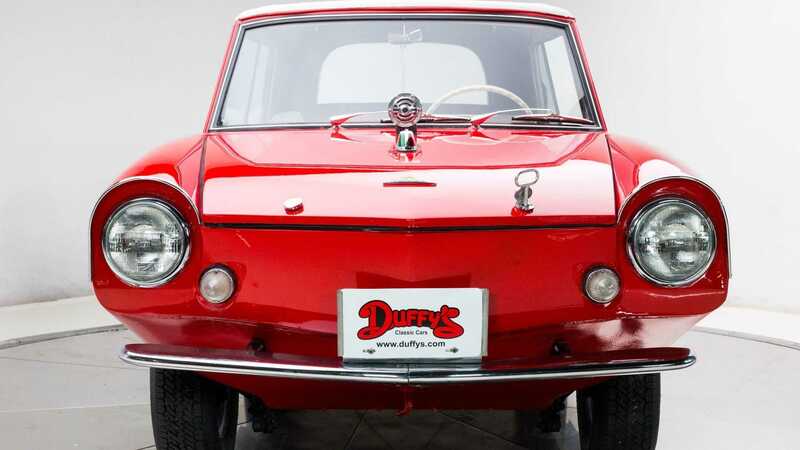 This particular 1962 Amphicar 770 currently for sale at Duffy's Classic Cars in Cedar Rapids, Iowas is an older professionally restored vehicle with a new interior, convertible top, and trunk. 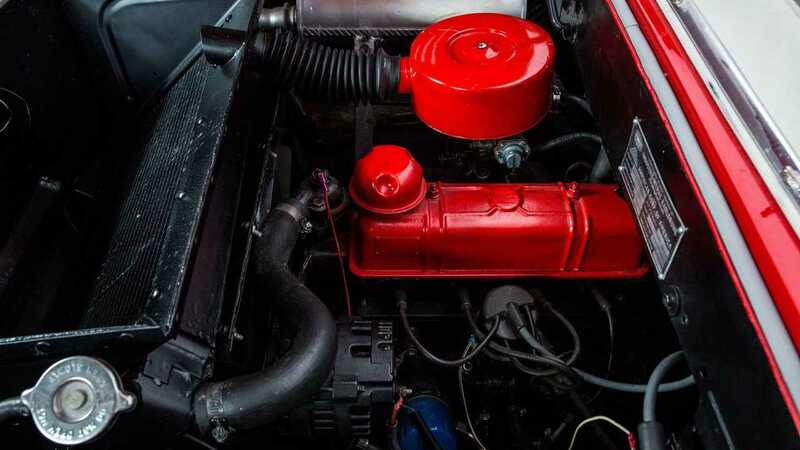 This vehicle is also equipped with new medallions, a strong engine with a rebuilt carburetor, and has a new and complete fuel system. 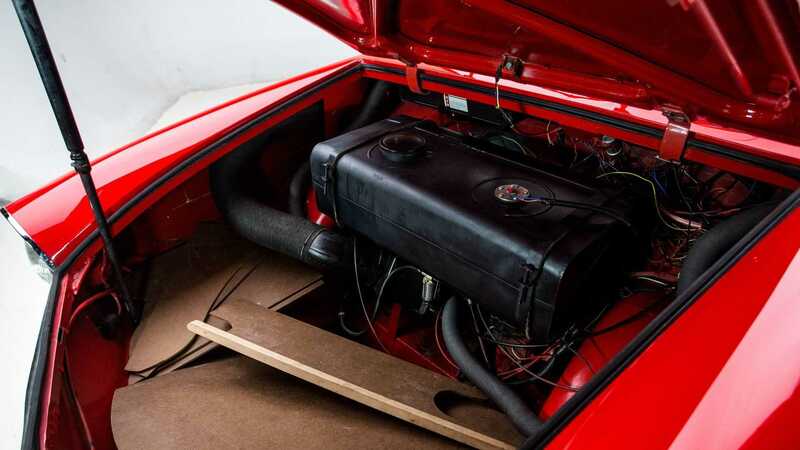 The Triumph-sourced 1.1-liter four-cylinder engine in this car produces 43-horsepower and sends power to the rear wheels, and the twin propellers via unique all-synchromesh four-speed manual transmission. 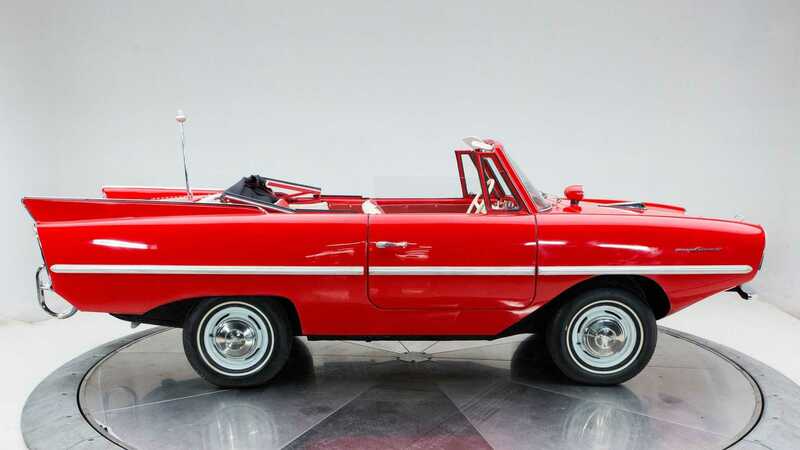 The listing states that this 1962 Amphicar 770 drives and floats like it should and is completely waterproof. 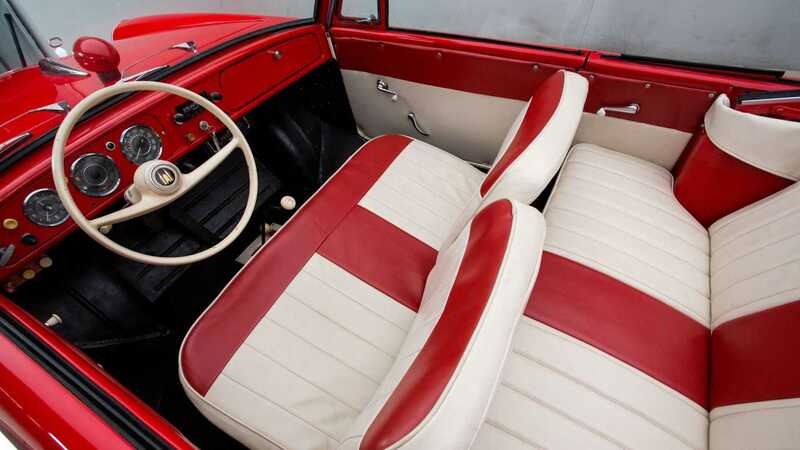 The vehicle has been professionally repainted in bright red and features a matching white interior and convertible top. 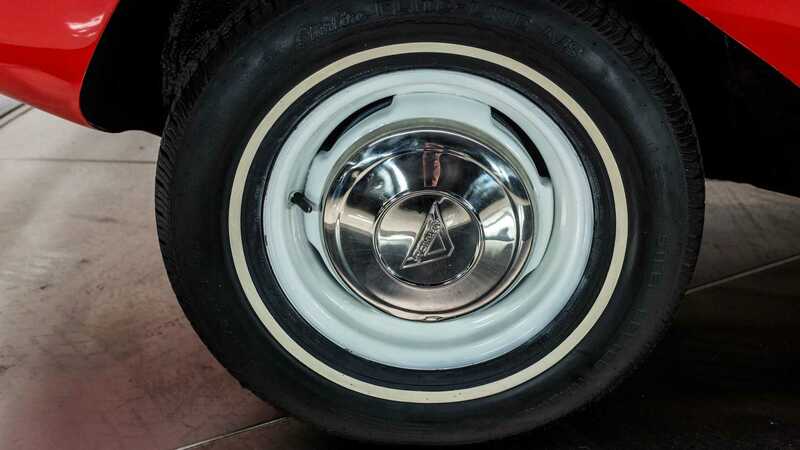 All the original rubber seals have been replaced and the car rolls on a set of new white wall tires. 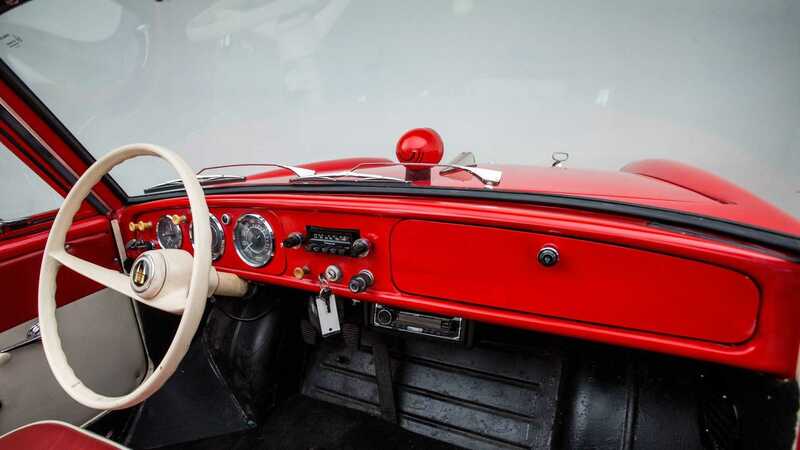 The engine for this car is sourced from Triumph, but much of the braking system and suspension components were sourced from Mercedes-Benz. 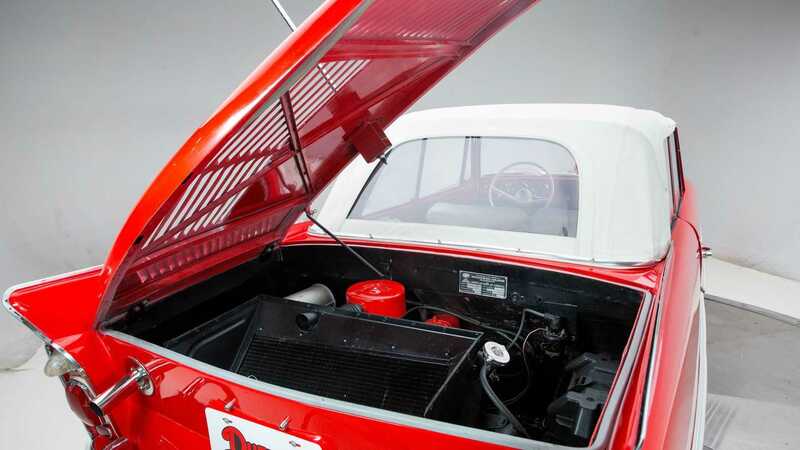 Additionally, some parts of the fuel system and transmission internals were sourced from a Porsche 356. 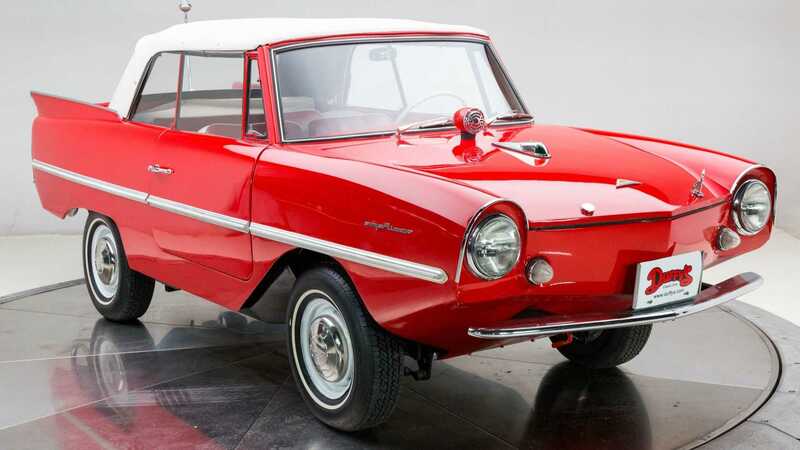 Because of its 10-inches of ground clearance and a totally flat undercarriage, the Amphicar was a great performer in snow and it even outperformed many 4x4s of the time. 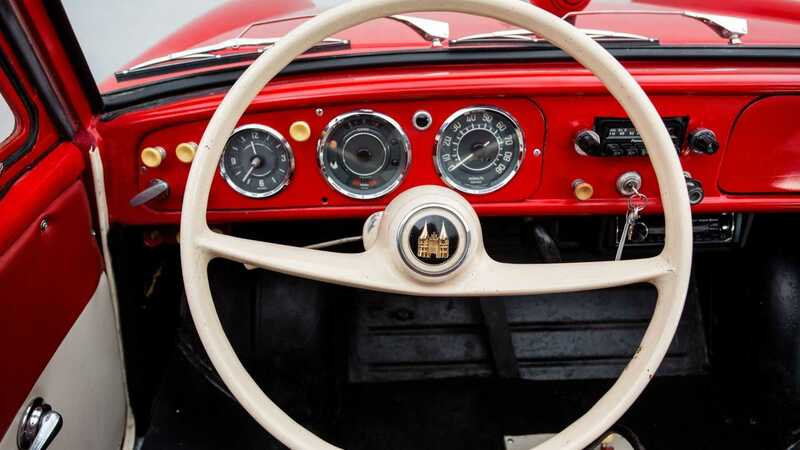 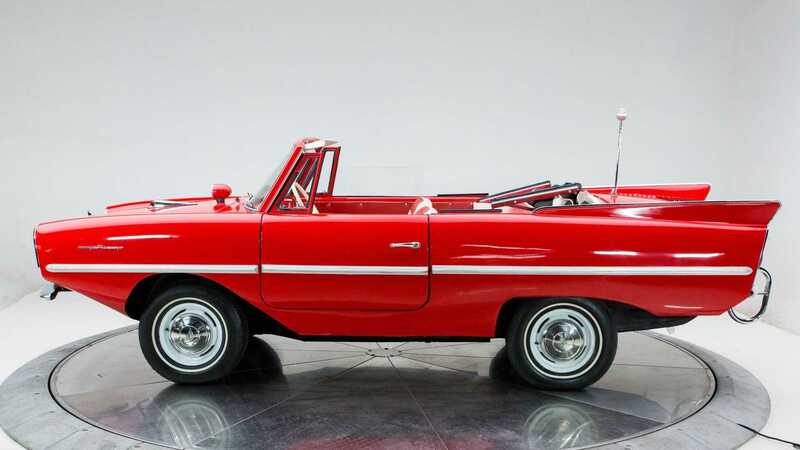 Since this bright red convertible can also be used on water, the Amphicar comes equipped with a navigation light, fog light, and twin propellers at the rear. 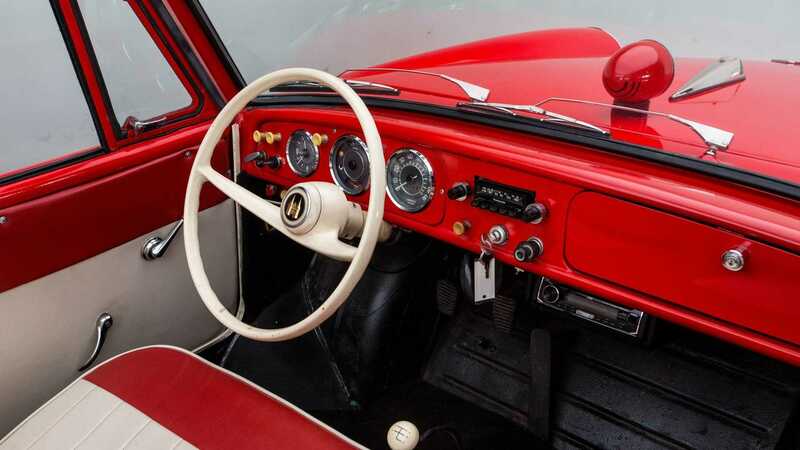 Inside, the car still features its original AM radio in the dashboard, but a new aftermarket stereo head unit is also mounted underneath it. 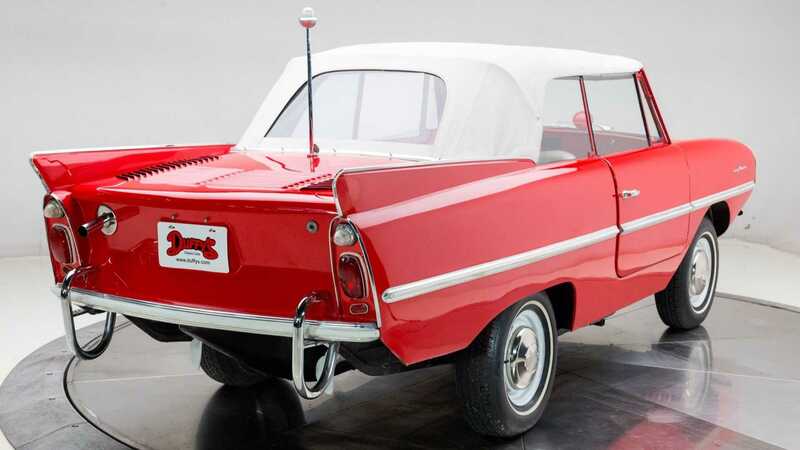 So, if you are looking for a vehicle which can offer years of cruising and floating pleasure, then check out this cool and rear 1962 Amphicar 770 for sale at Duffy's Classic Cars for $78,950.